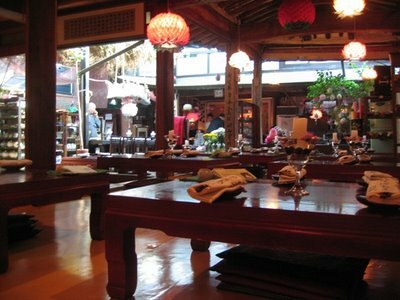 In the heart of Insadong (a neighborhood in Seoul, Korea) is Sanchon, a vegetarian restaurant run by a former Buddhist monk. Many Korean restaurants are geared towards groups eating together. This one is no different. So sitting by myself at lunch felt a bit awkward. The entrance is located at the end of an alley. Upon entry, you have to take off your shoes. The proprietor led me to my table, a low slung coffee table where I sit on a cushion on the floor. There is no a la carte menu. A single prix fix menu will set you back about $20, but ohhhh what a worthy $20. 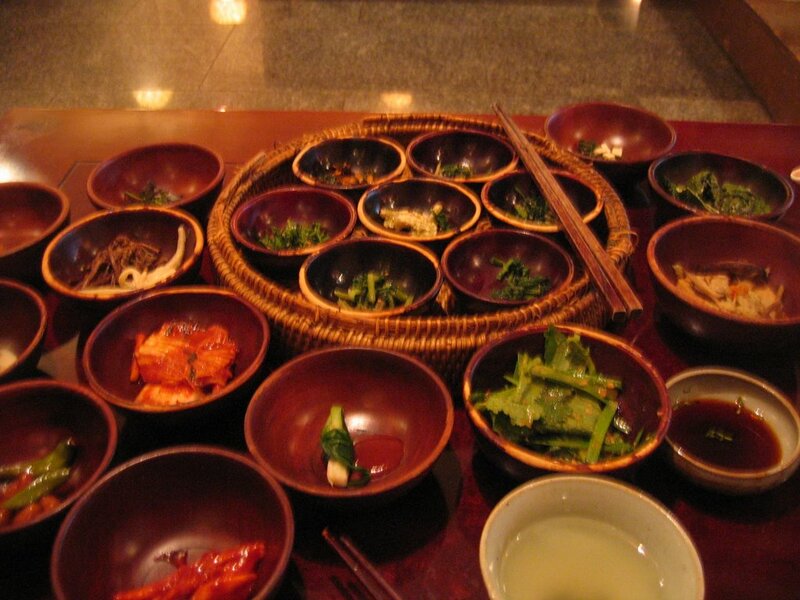 The menu says you get about 19 dishes, but the real number is more like 27. I can't even begin to describe the dishes, but it's all very good. There are sweet, crunchy, boiled, fragrant, stinky, spicy, mild and salty vegetables. It depends upon the chef's ingredients. I had a great meal that I could not finish.